Click on the name of any model to go to the Brochures & Pricing page for more information! 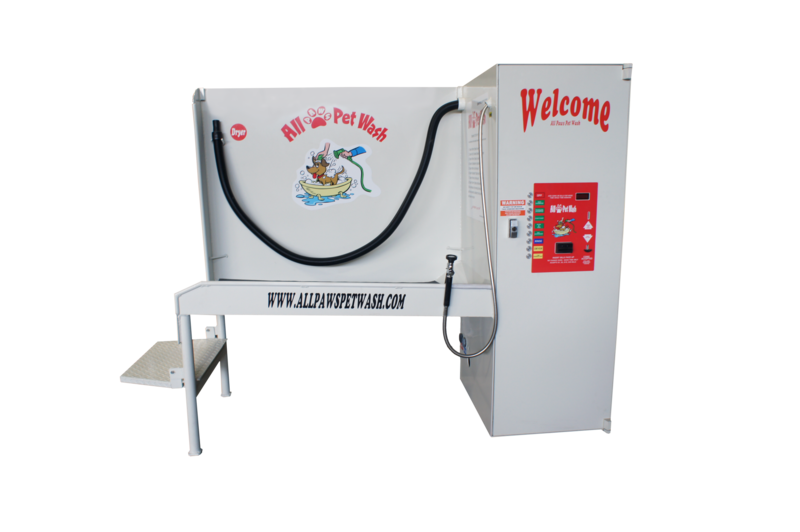 All of our pet wash stations are fully ADA Compliant! 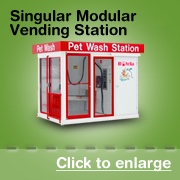 A single modular pet wash vending station measures 8′ x 13′ and consists of one self service pet washing bay area and an equipment area. 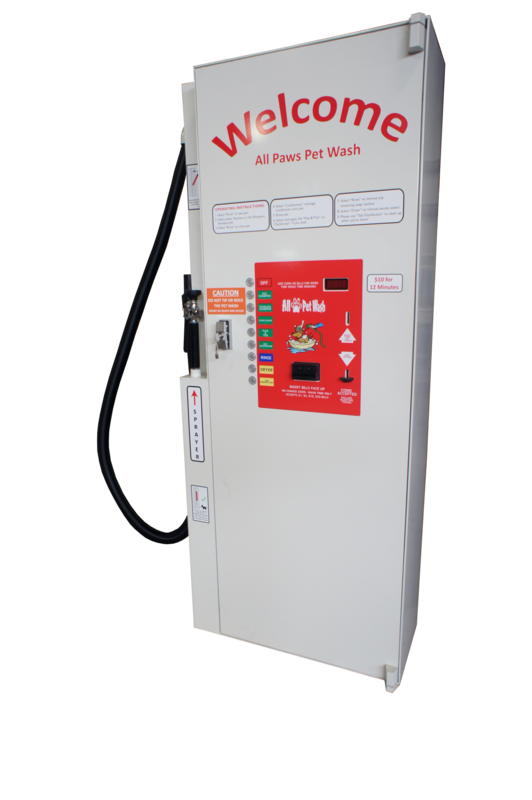 Every singular modular dog wash vending station comes equipped with a stainless steel tub in your choice of small or large, coin and bill collector with selector, hot water heater, overhead lights, spray controller, trap for pet hair, hair dryer, and hair vacuum. 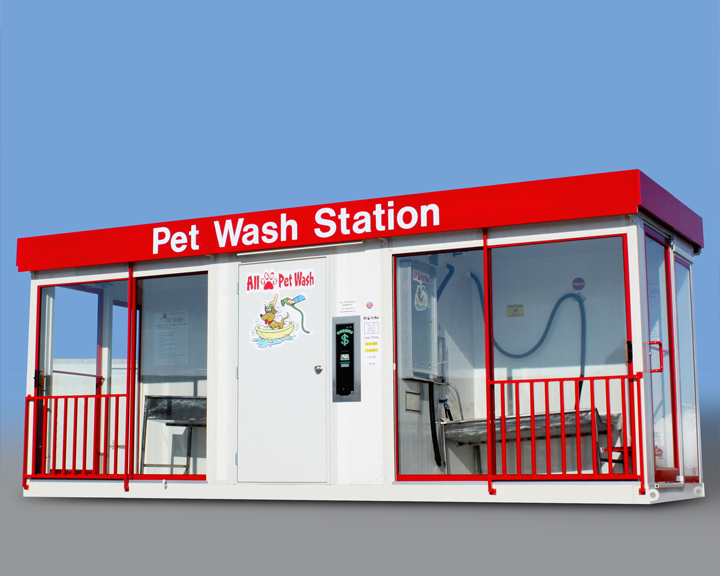 It’s the perfect one-stop-shop commercial dog washing station with everything necessary to wash, dry and fluff. What about those pet lovers with more than one dog? 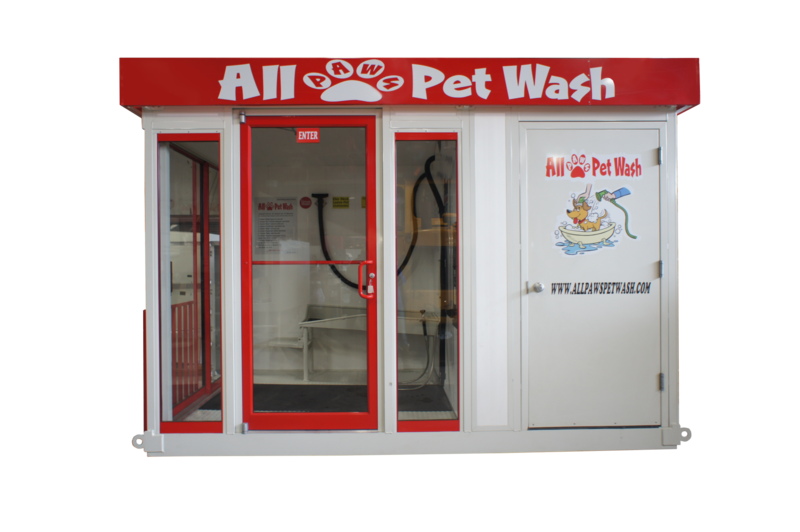 A double modular dog wash vending station measures 8′ x 21′ and consists of two washing bay areas and a center equipment room. 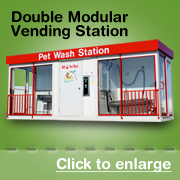 Every coin operated double modular vending station comes equipped with a stainless steel tub in each bay, coin and bill collector with selector, hot water heater, overhead lights, spray controller, trap for pet hair, hair dryer, and hair vacuum. The convenience of having space for more than one animal at a time is a luxury most people don’t get to enjoy … and will surely appreciate. Besides, no one likes to wait and a double bay ensures your customers can get their business done without having to wait around for someone else to finish theirs. 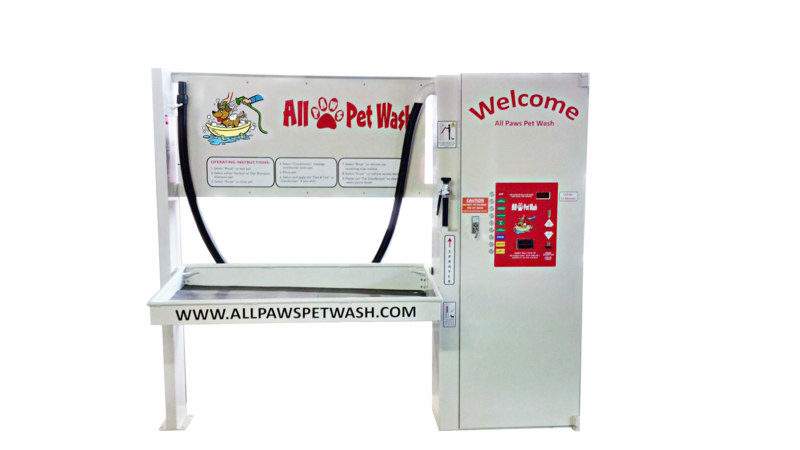 If you decide to offer tokens as a payment option, we have a complete package ready to place in your pet wash, making it even easier for you to run your business. A token package consists of a token dispenser with a bill validator for denominations of a $1.00, $5.00, $10.00, $20.00. Also included is a coin validator in the spray control and the vending machine(s). The token package includes 2,500 proprietary tokens. 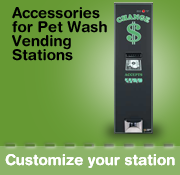 Add an additional convenience to your pet wash by accepting credit cards as an additional payment method. 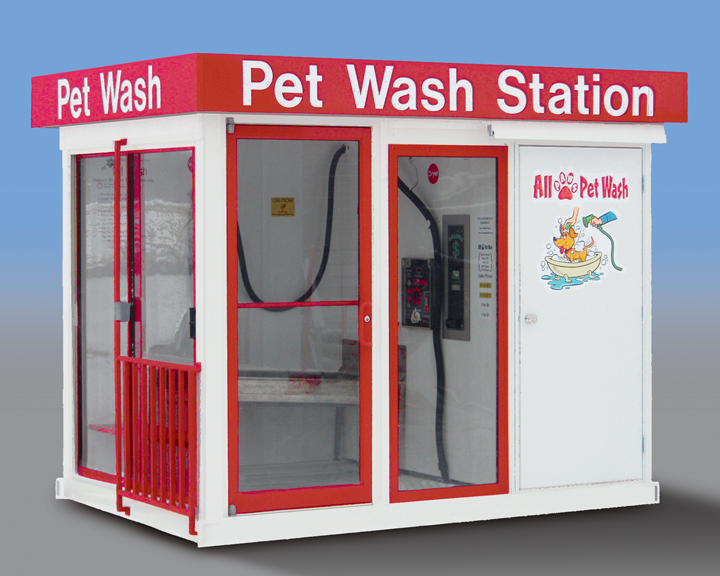 In most circumstances, your business’ existing credit card system can be implemented into the pet wash card reader system. To order additional treats, soaps, or other products please visit our Order Supplies page. © 2015 Copyright by Dog Gone Dog Wash. All rights reserved.